The PFA Player of the Year has been linked with a move to the Emirates and huge claims last night suggest a deal between Mahrez and Arsenal has been done.Algerian newspaper Le Buteur report how Arsenal boss Arsene Wenger met with Mahrez and his agent. Wenger’s aim in the meeting was to convince Mahrez to join the Gunners, it’s been claimed. And Le Buteur say Mahrez agreed a deal with the north London club and is insistent on joining them. Leicester remain desperate to tie Mahrez down to a new contract, with the club’s owner ready to offer the 25-year-old £100,000 a week but even that might not be enough to keep him at the club. Despite Mahrez allegedly saying he wants to go to Arsenal, there is – as yet – no agreement between Leicester and the Gunners.Mahrez scored 17 goals in Leicester’s memorable title winning season. 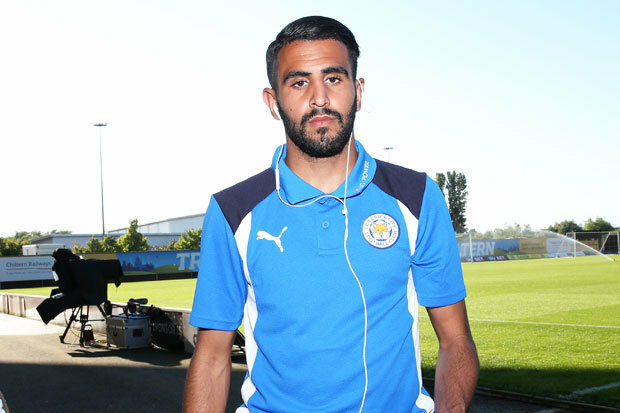 Ranieri admitted at the weekend Mahrez has been distracted by the rumours linking him with a move to Arsenal.Wenger and assistant manager Steve Bould were present at Leicester’s pre-season game against PSG.